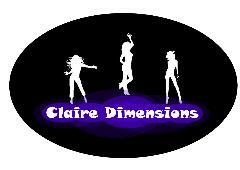 Dance Classes, Lessons, Events & Courses for Claire Dimensions. Regular Dance Classes. Dance Styles: Line Dance. All Entries for Gas Social Club Venue. Line Instruction at Improver to Intermediate level, Social Dancing at Improver to Intermediate level. Doors open 18:50. Admission £4.50. Licensed Bar. Line Instruction at Improver level, Social Dancing at Improver level. Doors open 19:15. Admission £4.50. Licensed Bar.